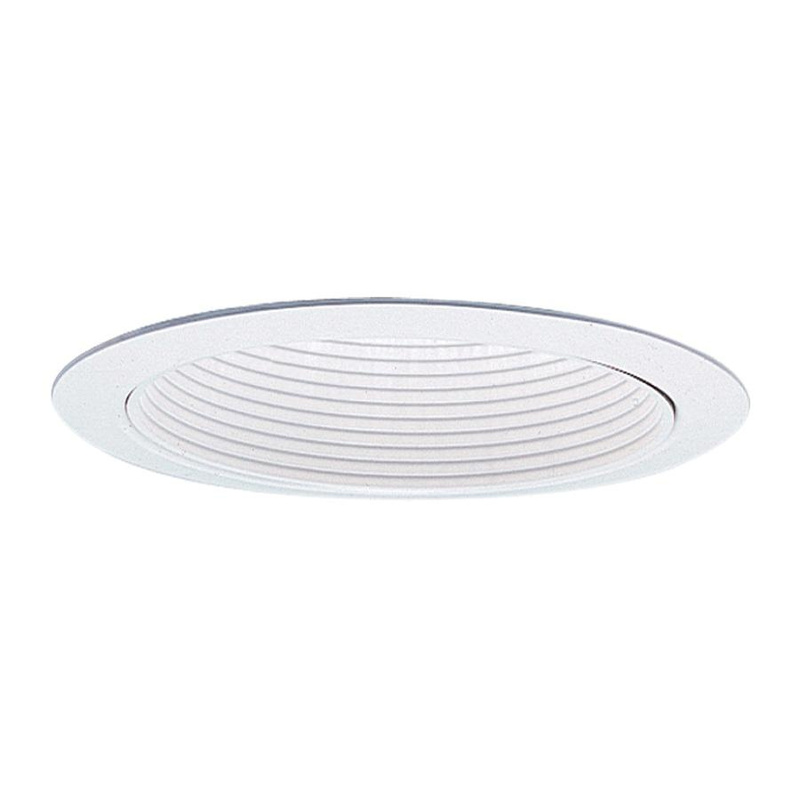 Lightolier LyteCaster Collection 5-Inch Downlight basic baffle reflector trim in white color, features 0.04-Inch hydroformed aluminum construction. Step baffles provide excellent glare control and a classic look. It accommodates one 85-/75-/65-Watt BR-30 incandescent, one 13-Watt quad T CFL, one 50-/75-Watt PAR30 incandescent, one 60-Watt A-19 incandescent or one 26-Watt Triple T CFL lamp. It is ideal for damp locations. Downlight basic baffle reflector trim is UL listed.